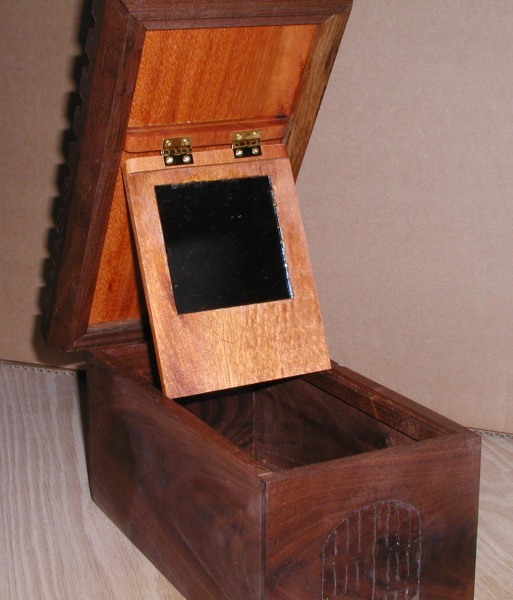 Made of Mara (a South American Wood), this piece has both a drawer and a removable lid. The castle evokes the image of a lone tower sitting on a windswept hill. 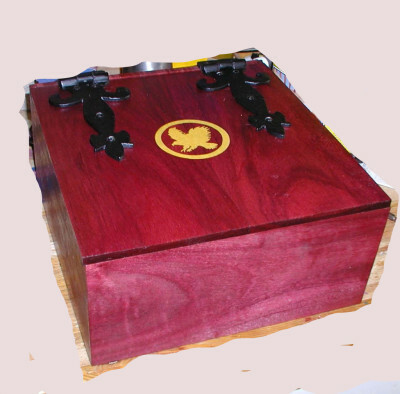 This box is made of Purpleheart and Yellowheart. These are their natural colors. The hawk inlay is a custom design for the owner. 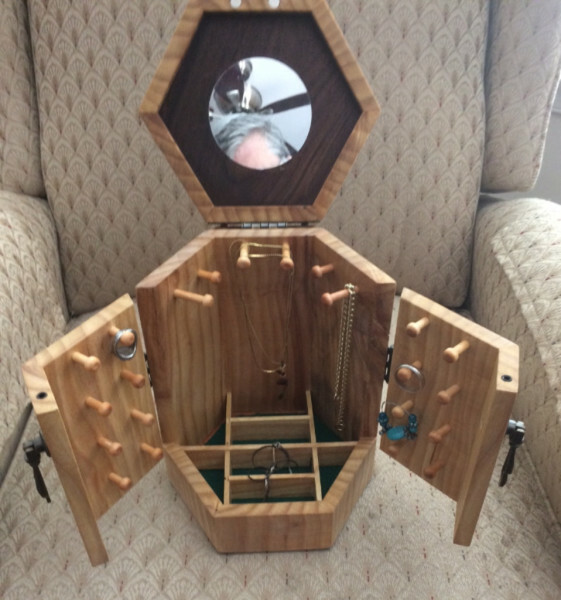 Jewelry box made of walnut. The castle lid contains a small vanity mirror. Wooden hinges were used to compliment the all natural feel or this container. 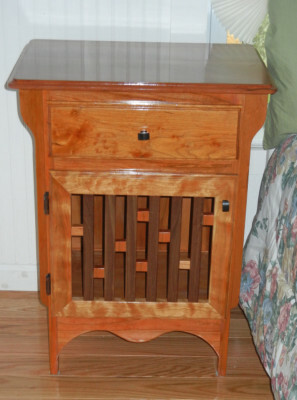 A bedside table made in the MacIntosh style. This box lid was etched with a traditional Celtic Horse design. Etchings can be included on any item as additional decoration. Pricing is based on the item, the materials used, and the complexity. The Star Trek Box is $125 for example. 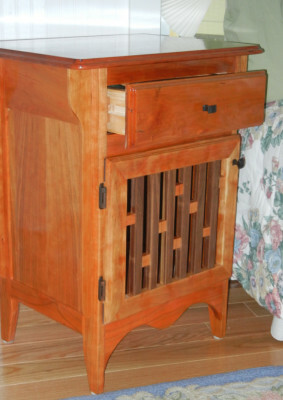 The MacIntosh Nightstand is $500. Wooden cell phone amplifiers. Put your cell in the tray and see how much louder it sounds. A set off tissue boxes. 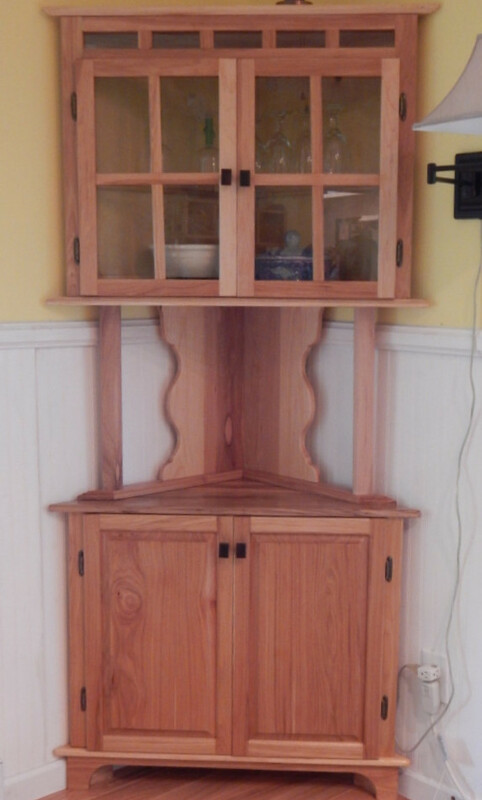 The left is quartersawn white oak with a bubinga top. 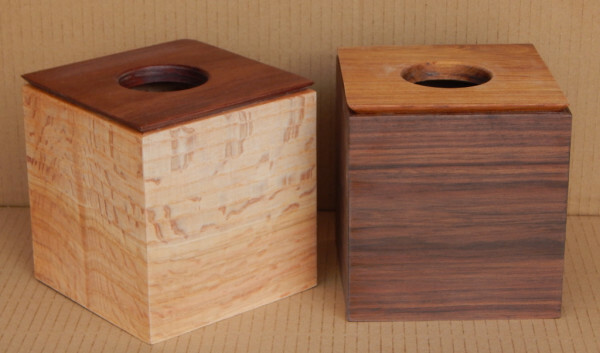 The right one is walnut with a cherry lid. 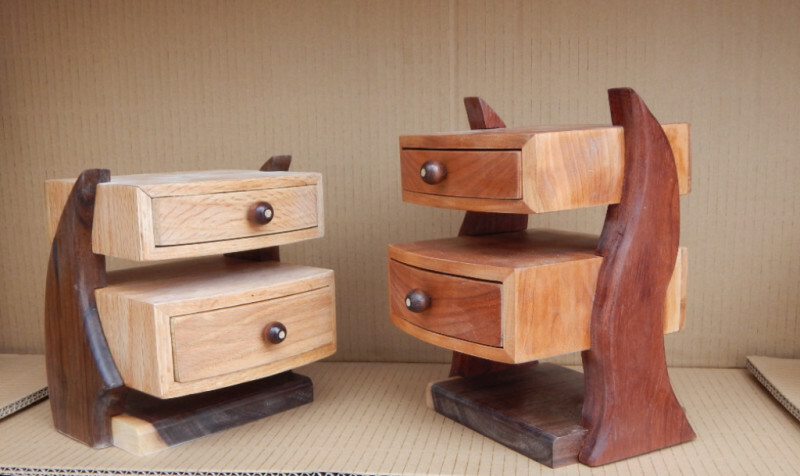 A pair of puzzle boxes. The knob locks the lid in place. The left is white walnut with a bubinga lid. The right is figured cherry with a walnut lid. 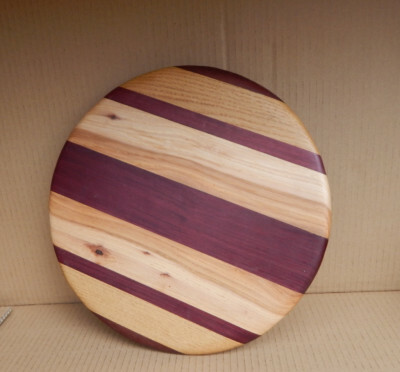 A multiwood lazy susan. 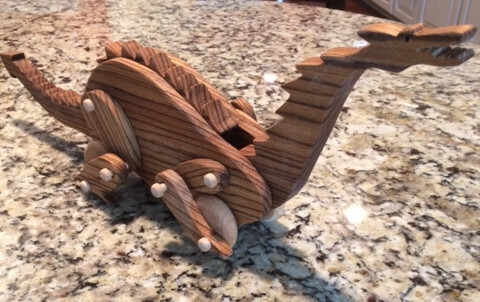 Made of purpleheart, hickory, oak and walnut. 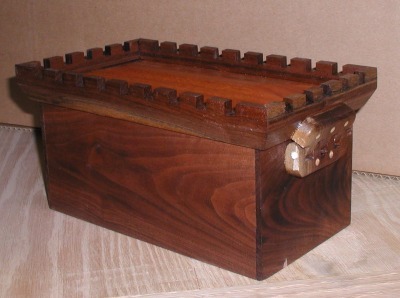 An oak and walnut lid castle knick knack box. Decorated with a classic knight in armor. 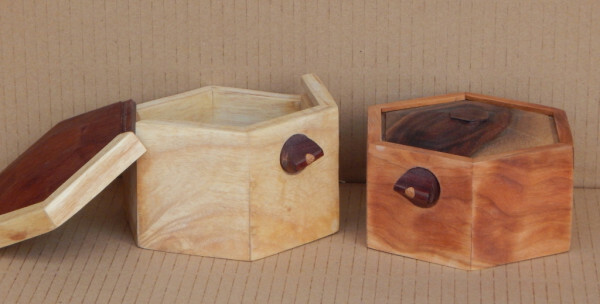 A pair of cantilevered jewelry boxes. Oak and Walnut on the left. Cherry and Goncalo (a Spanish wood) on the right. A Walnut amoire with pattern matched drawers. The amoire stands approximately 18" high and 6" across. The drawer fronts are Mara, a South American wood known for its distinctive grain and deep chocolate color. 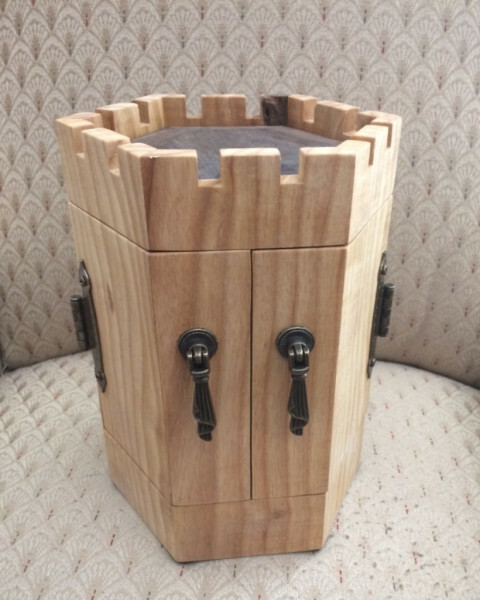 A White Walnut jewelry box with the castle motif. It opens up to show ring and necklace hangers. A mirror is inlaid in the lid.